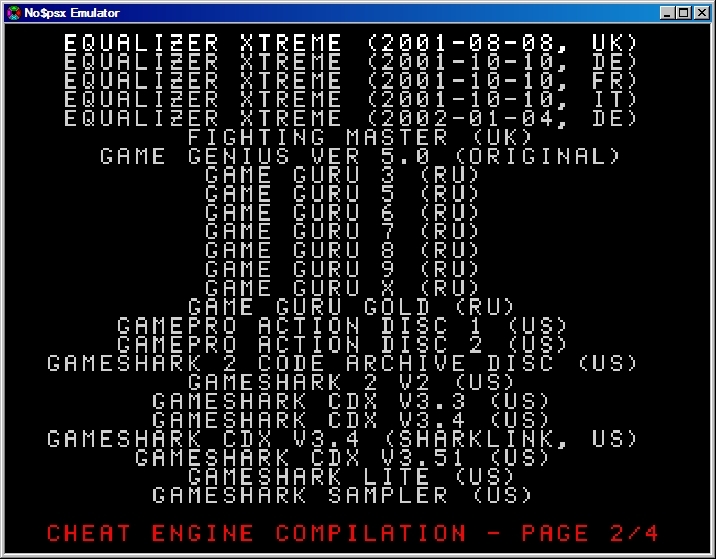 Burn the Cheat Engine Compilation disc image to a CD-R and put the disc into your system. Select one of the cheat engines from the menu. It's a good idea to check to see which cheat engine has the codes for the game you want to play, so you're selecting the appropriate one for your game. 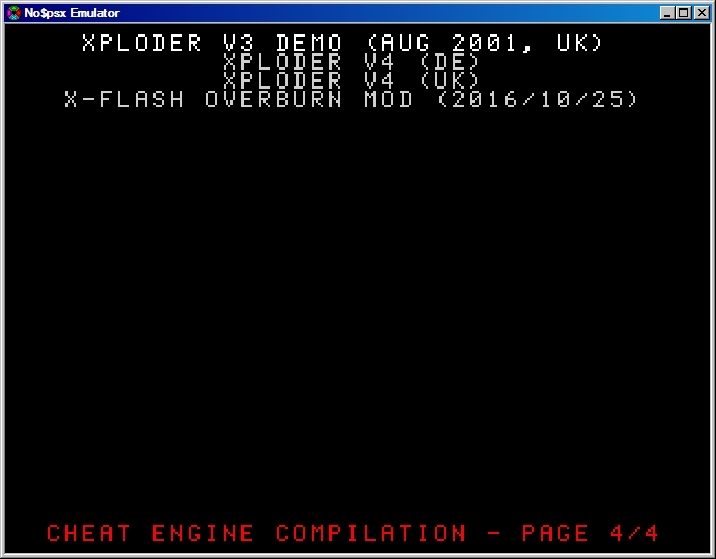 Remove Cheat Engine Compilation CD-R from your PlayStation console. Insert a PlayStation 1 game, now you have access to the cheats. 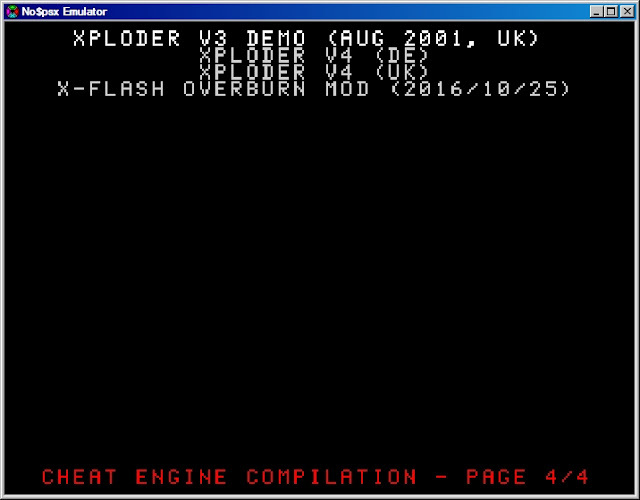 X-Flash, an old homebrew software which reflashes cheat cartridges (for the PIO port, on the back of pre-9K PS1 consoles). Equalizer HAXtreme and GameGenuius mod. 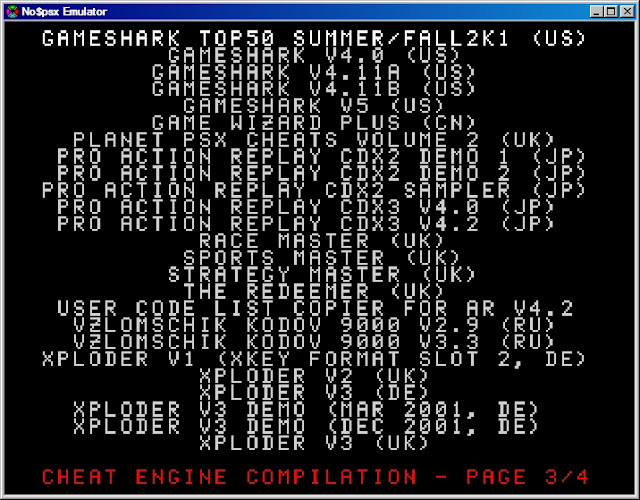 Two heavily hacked cheat softwares that load user code list from the CD. The hacks allow big code list, much larger than they originally supported. 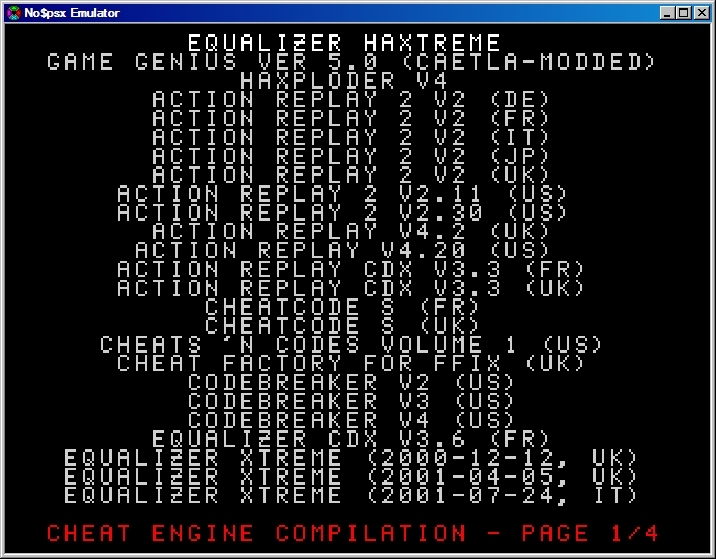 Equalizer HAXtreme codelist in text format. 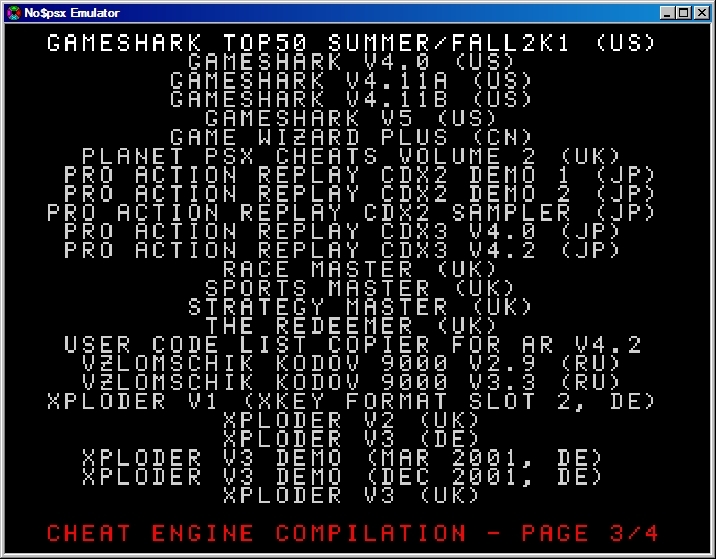 GameGenius Ver5.0 (Caetla-Modded) codelist in text format. 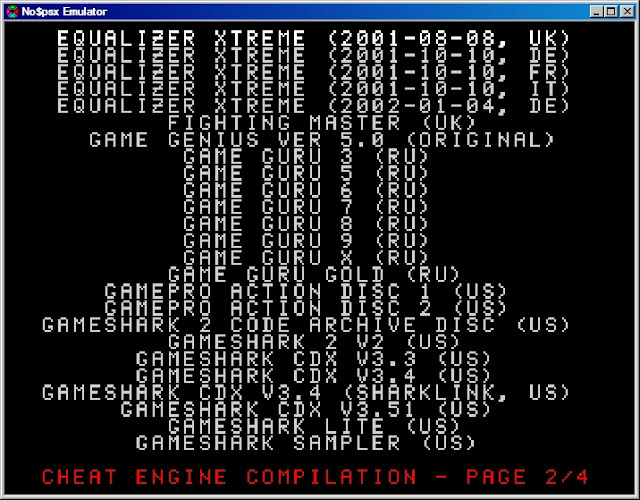 In addition, original untouched cheat discs are preserved with the redump.org database.